The study says that about 3 million Americans quit their job to find a better opportunity. We have been discussing about it in our previous articles. Shockingly 31% of employees tend to quit their present job before even making it the half-year mark. Do you know how expensive employee turnover is? Through a reliable source, it was found that it takes almost a double of the employee's salary to replace them when they quit. That is not all, every industry has a different story, but for some employers, it can be more expensive. This scenario is becoming like winning a war and what all can be done to win this battle is the question. Surprisingly, there are a number of companies that have been through this war and won it gracefully. Be it Forbes, or inc.com or any major blogging or magazine company , they all have surveyed to know what the Millennial look forward to and why won't they? 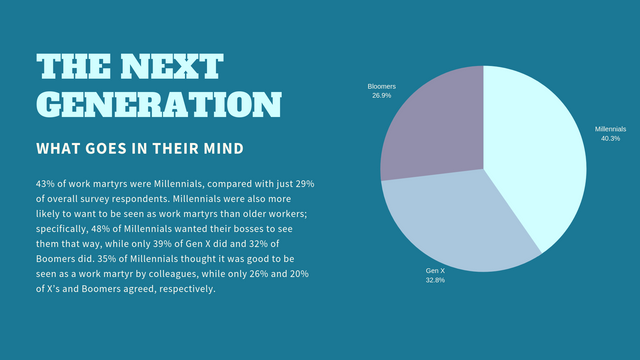 The oldest millennial would be turning 40 now, and they are the major workforce today. What do they look forward to? Lifestyle, yes it is. Opting for flexible hours works from home, and wellbeing plans are something that has gone common. If you don’t have the funds to pay high salaries, you will have to get creative with lifestyle benefits. Consider stunned working hours, where employees can begin and complete early or late. What about a more drawn out mid-day break to take into account an exercise center session? Giving sound snacks or a kitchen supplied with the nuts and chocolates that can be the lift expected to keep your staff upbeat. A study at The Harvard expressed that huge numbers of the stereotypes related with "millennial" are viewed as negative, yet research demonstrates that millennial buckle down in any profession they enter and work harder than the previous generation. Either adapt to the future workforce or wait for the time to force it in action. Before blaming the employees for not being loyal, let’s go through an extensive research report that has a very different picture to come up with. These stats were built on the basis of the studies made in Harvard. One thing is for clear, and that is the Millennial are workaholics. They don't give a damn over many things, but when it comes to working; they come up with an extraordinary force. They are not like the forced labors of Ibiza, but the generation that is full of wonders. Now when they leave, certainly you have no idea how much of the workforce your company is suffering. Yes, they get fascinated by a blooming work atmosphere at the workplace. There is one more way to motivate and retain your employees than offering cash rewards and hikes, and that is offering work life balance to your employees. Now certainly we cannot suffer our projects by reducing working hours, but what the successful companies are doing is next to brilliance. Companies that introduced have seen a wide difference in the productivity and employee retention. Employees are leaving other companies for such peace of mind scale of work. It not only add a touch of luxury to the life, but also pays you more than invested in the services. You ought to believe that there is always someone in the backyard of your office who can take care of things for you. More the job options more opportunities and more difficult it becomes to retain an employee. Employee retention is a branch that needs to be studied. The company that can give more than a salary usually wins the race of survival. In any case, creating a world where the employees love to come to work is the company that never fails. Their clients are happy, the productivity is much more, and thus the profit falls in the way once it was imagined. The most important thing that an organization can do today is to secure the best workers of the millennial generation and retain them.